Maine Fiberarts was formed to support Maine fiber and the fiber community both within and beyond the State by hosting exhibitions, organizing studio tours, representing work to the public, maintaining a presence at art and agricultural events, and networking opportunities. Our programs are designed to foster this special work in basketry, beadwork, clothing design, crochet, embroidery, felting, knitting, lacework, needlework, paper, quilting, rugs, sewing, spinning, surface design, and weaving. Maine Fiberarts is a statewide nonprofit membership organization formed in 2000. We welcome members who love and support fiber art and farms and the producers, makers and consumers who keep this wonderful and useful industry alive and prospering in Maine. 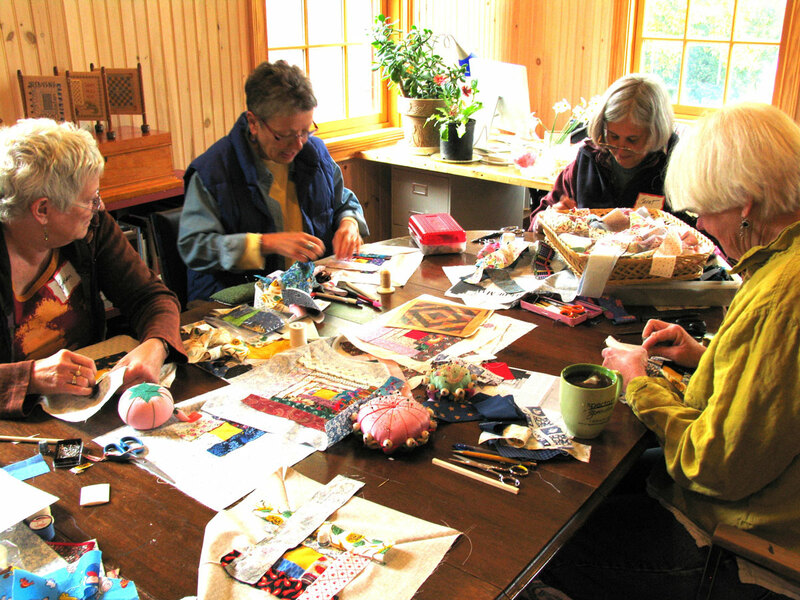 Supported by our members and organizations and foundations dedicated to the arts and cultural heritage as well as sustainable agriculture and marketing, Maine Fiberarts is always engaged in many ongoing programs, various new projects, and provides a number of services to and for the fiber community. Headquartered in a beautiful 1840’s building in Maine’s Midcoast, our Center/Gallery is where we welcome visitors, gather artists, offer insiders’ tips to cultural travels, create newsletters, maintain photographic files, and offer a chance to meet like-minded souls. By creating awareness of these arts and activities, we support the State’s economy, enrich our cultural life, and broaden the resources available. Our goals are to create greater opportunities for artists to exhibit work, to apprentice, to mentor, to teach crafts to children, to find school residencies, to sell fleeces and fiber products, to find guilds and study groups, to learn about events, and to become better connected.